Between the 2014 World Cup and the Rio 2016 Summer Olympics, Brazil has been getting a lot of attention lately. While we’ve all been craving a trip to the beaches of Rio for years, now the rest of Brazil is turning into a tourist playground. The country is safer and easier to get around than ever before. Its natural beauty and fascinating culture make Brazil second to none. Ready for a dizzying, breathtaking adventure of a lifetime? Join us. Brazil has everything that you could ever want. Stroll through the old European colonial ports, live it up at the parties of São Paulo, lounge on the beach with a caipirinha and take in the true awesomeness of the Amazon jungle without crossing the border. Few places on earth can offer such variety in landscape, culture and ways to spend your day. Here are a few of our top picks. Of course. Rio de Janeiro. It’d be a crime to go to Brazil and not visit Rio. The golden beaches, stunning mountains, intensely competitive football and samba-charged nightlife push it to the top of every visitor’s list. Copacabana Beach has been a symbol luxe relaxation since 1940s and now Ipanema Beach is the place to be. The view from Christ the Redeemer alone is worth the trip. It’s a truly internationally iconic site. 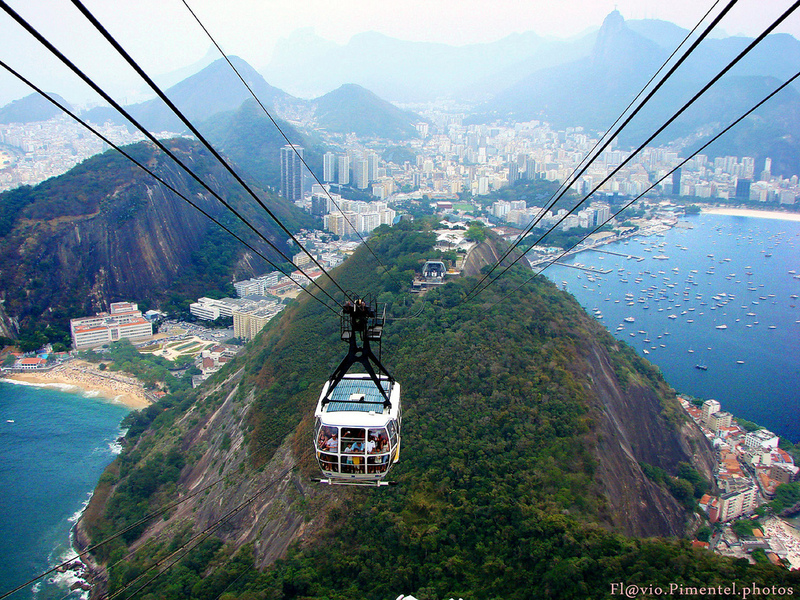 For an even more glorious view of this beautiful city, be sure to hop on the Sugarloaf Cable Car. This cableway runs between Praia Vermelha and the Sugarloaf Mountain, stopping at Morro da Urca then finally reaching its summit of 1,299 ft/ 396 m.
The rainforest is an otherworldly sight to see. The Amazon has an amazing 30,000 plant species, 311 mammal species, 1,800 fish species, 1,300 bird species, and 165 amphibian species. The Amazon Rainforest spans more than a billion acres, sprawling out over Brazil, Venezuela, Colombia, Ecuador and Peru. 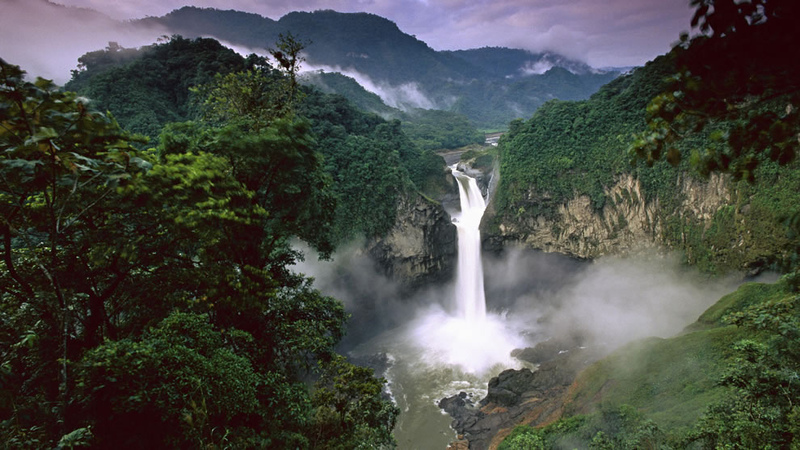 If the Amazon Rainforest was a country, it would be the ninth largest in the world. More than 20% of the oxygen on the planet comes from the Amazon. It’s rare to have the opportunity to visit a place so significant to all life on earth. Sign up for a tour and be guided through the countless wonders awaiting you there. Ready to head back into the urban jungle? Brazil’s largest city has a population of nearly 20,000 people and endless entertainment options. You will find live samba every night of the week. South America’s greatest collection of art calls the São Paulo Art Museum home. If handicrafts are more your thing, the Avenida Paulista Sunday outdoor market will be like heaven for you. When you’re ready for a break, head down to Parque Ibirapuera to soak in the sun in this inner city oasis. The city of Foz do Iguaçu in the state of Paraná is home to the Iguaçu Falls, one of the world’s largest waterfalls and the highest-volume waterfall in the Western Hemisphere. 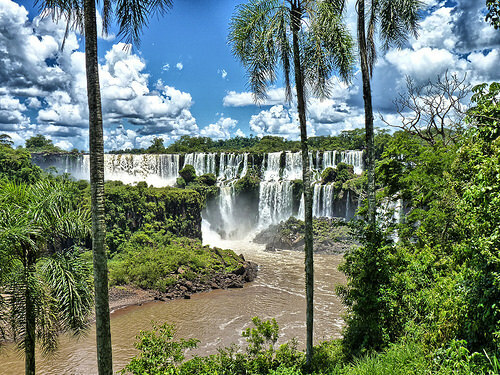 The nearly 3k long waterfall sits on the border of Argentina and was voted as one of the New Seven Wonders of the world. There are hundreds of cascades including the massive aptly-named Devil’s Throat. For a true adventure hop onto a Zodiac, a rubber boat, that’ll show you another side of the waterfall and give you a refreshing shower.